This is coming up this weekend. So if you are interested please get in contact with Ward on the email address below. This year the NQ Fly Fishers are again hosting the Gin Clear Media Show. 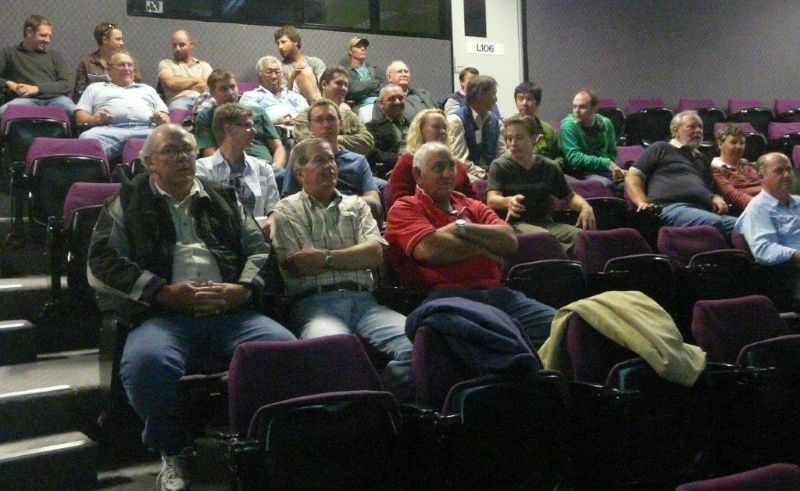 This is a fly fishing film festival promoting Gin Clear Media DVD's. Last year it was a great little show, and by the sounds of things this year is planned to be a lot bigger. This is what NQ Fly Fishers president Ward Nicholas has to say. The bookings are now made and the show will be on! It will be the 18th September 2010, depending on the the weather we will have a fish trip starting at 6:30am meeting at the main ramp at the Townsville Coast Guard. At 2pm we will meet back at Heatley Secondary College on the Cnr of Hanlon St and Fulham Rd at the Media centre. There will be a casting competition (with distance and accuracy) on the day from 2pm till 4:30pm. We will also have a fly tying competition (to be handed to Dave Little on the day) until 5pm (3 flies 1 open water, 1 inshore, and 1 of your own choice) all flies remain property of the club at the end of the show. There will be engraved glass trophies for each event. At about 5:30pm there will be a sausage sizzle (soft drinks on sale for a dollar) and then from about 7pm the media show. The cost will be $30. You can participate in all the events or just the sausage sizzle and media show (the cost covers venue hire, sausage sizzle and media show). We are also offering a fishing swap meet starting from 4pm till 6pm. Any one can participate, the idea is to bring along any fishing tackle you would like to get rid of and we will provide a table. If any club or shop would like to set up a stand (fly fishing only) they would be Ok as well. We do need to know numbers so we can cater for the event. It is an alcohol free zone as it is at a school premises. Any questions or ideas I am happy to hear from you.